Redesdale Equestrian is the culmination of a dream which has been over 20 years in the making. That dream is now being realised by the business’s owner, Helen Self. Helen is an event rider who has competed to advanced level eventing and specialises in bringing on young horses and training novice riders. Previously based in Wiltshire, Helen worked for olympic silver medallists and two times World Cup winners Lucinda and Clayton Fredericks, and has trained with world class coaches including British Eventing’s Yogi Briesner and Kenneth Clawson and British Dressage’s Jane Bredin. Helen started her eventing career as part of the British pony eventing and young rider squads and has competed at the senior British Championships as well as numerous international three-day events including Blair, Weston Park and Windsor Castle. She has trained with nutritionists at animal feed manufacturers Dodson and Horrell and helped managed public relations for the sport at British Eventing HQ. 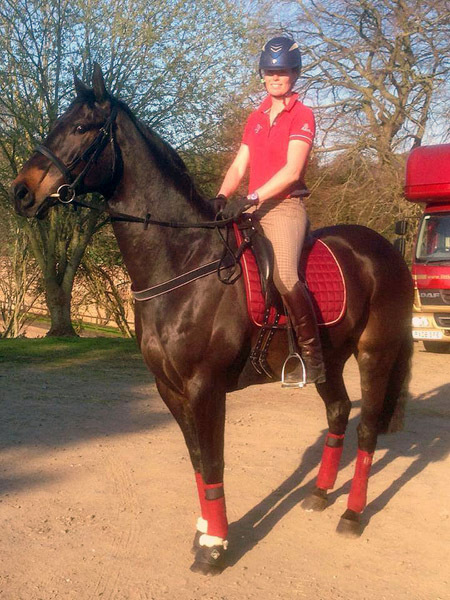 Helen is a qualified UKCC Level 2 Equestrian Coach. She has a degree in Equine Management, British Horse Society (BHS) and equine specific First Aid & Child Protection qualifications.